Excelling in speculation and analysis, Mr. Zhang Naihua is a leader who is good at inspiration and push. He leads the team to come through any difficulties in light of reasonable measures and regulation and portrays myth-like stories one by one in Zhejiang hospitality industry. He is always embracing vibrant enthusiasm and makes, step by step, the prospected honor and dream come true. He and Sino Hospitality Management Co.,Ltd are weaving a beautiful dream together. A leader serving in state-own enterprise, Mr. Xin Jie has created tremendous achievement in the course of founding, operating and developing Shenzhen Pavilion Hotel, recognized as an apotheosis of Chinese eco-business-hotel example in hospitality industry, relied on his excellent leadership, innovational management and supreme personhood, being bold to face stiff market competition atmosphere. Under the leadership of Mr. Xiang Desen, Jiali Hotel Xuzhou takes its one year’s brilliant achievements to be self-evident. It was honored the four-star hotel by National Tourism Administration, which broke through the record of lacking star-hotels in Xuzhou and improve local investment environment and provides a high-class, high-spec, and high-level reception window for Xuzhou. It is he who spurs a distinguished development. After several years’ practice, Mr Yu Lishu becomes so meditative and with mighty administrative ability, is apt to capture information and with decisive decision-making vigor, is skillful to handle any hard situation availing management. He has accredited the reputation of pioneer because of the management concept of pursuing quality primarily, being honest and considerate comprehensively, being perfect and dedication. There are no exceptive hotels in twenty hotels failing to get raising continuous revenue that run by Mr. Yu Yonggang. He is the sponsor who brought forward the management concept of focusing on employee in China’s hospitality circle and procurement correspondence to management. His released professional academic papers on various presses have affected lots of hotel managers deeply. He has integrated the theory and practice, plan and execution perfectly. He extremely supports Management by Walking around (MBWA) sponsored by an American Entrepreneur named Thomas Peters and brings this theory to practice actively. He is good at learning new ideas and gets progresses continually and transplants international experiences into Dahe Jinjiang Hotel which is a successful top-class business hotel brand for Zhongyuan Hotel. These following clustered data indicate that Dahe Jinjiang Hotel was the third hotels with considerable revenue in April 2007 among the star-hotels of Hunan Province; the occupancy proportion, average room rate and operation revenue and other marks rank first amongst provincial four-star hotels. 25-year experiences in hotels make him highlighting. Distinctive experiences in hotels make him an expert accomplished with hotel restoration, management consultancy for opening hotels, maintaining hug-scale business-convention-model hotels and etc. Conducted with the concept of creating delicacy in hotels and applied it on Skyway Landis Hotel Shanghai, in the succession of maintaining Shanghai Everbright Convention & Exhibition Center successfully, he adds another brilliant outcome in his carrier life. 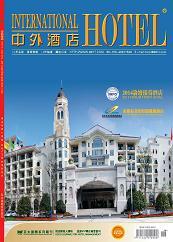 Those hotels managed by Mr. Guo Li greet guest in an endless stream so he positively got tremendous achievement. He assumes the liability of missionary and exchange the theory to the engine that pulls China’s hotel economy to run fast. Compared with uncountable management achievements, his courage and payment reinforces our respect to him. Several years’ marketing promotion and sale experiences, he maintains the hotel with 90% average occupancy and has distinct opinions on the prospect of China’s hotel industry. In a short time, he is able to make up the deficits and get surpluses when holding a hotel post. Maybe, as for this young manager, there has no difficulties he could not overcome.